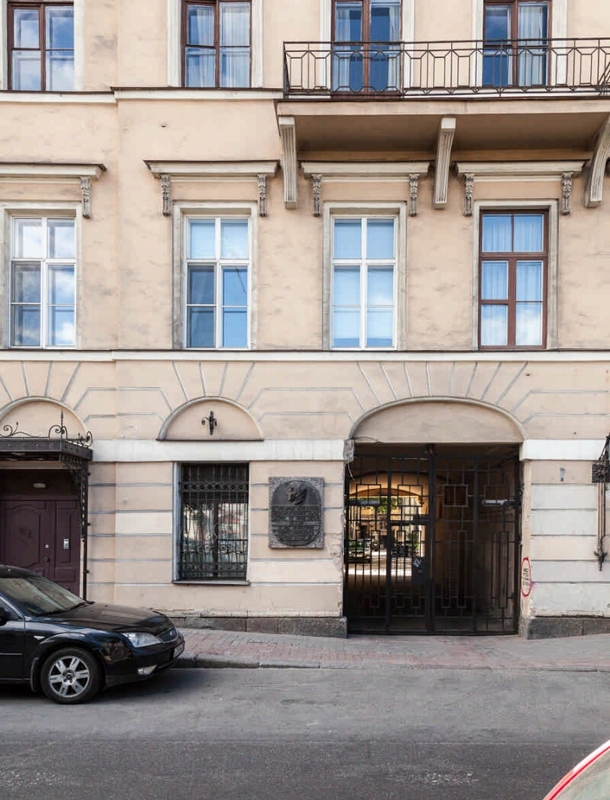 General view of the house where KN Batiushkov lived; Fragment of the facade of the house with a memorial plaque; Memorial plaque . 1. 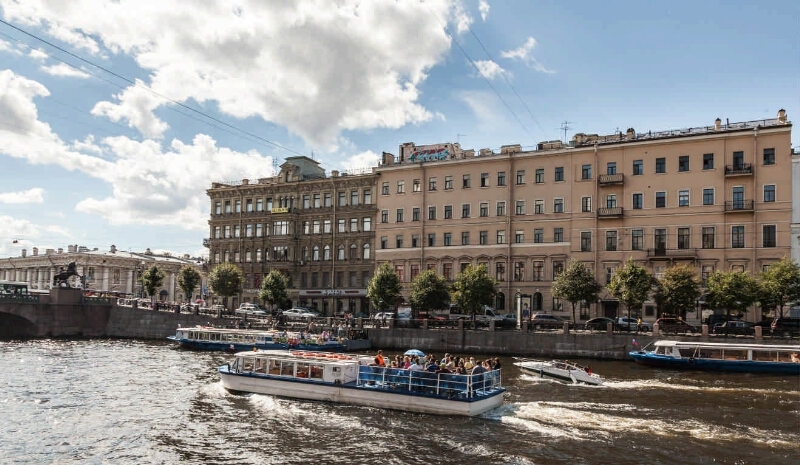 Batiushkov, Konstantin Nikolaevich (1787 - 1855) - Memorial places - St. Petersburg, city - Photo Albums. 2. Patriotic War of 1812 (collection). 3. 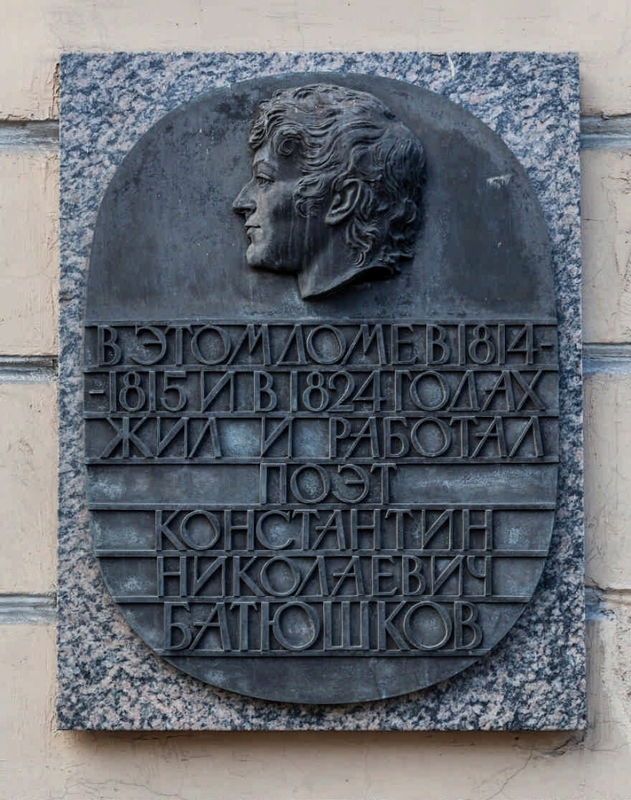 Memorial plaques - Saint-Petersburg, city - Photo Albums. 4. Patriotic War - Perpetuation of memory - St. Petersburg, city - 1812 - Photo albums. 5. Architectural photographs.